It’s a curious kind of convergence, happening in one of the world’s most complicated cities to navigate and live in. Artists and designers will get to hang around startups, who’ll also get to meet social media mavens and social enterprises, who’ll most likely be enjoined by bike advocates and environmentalists to support their causes. There will be art, music, green and healthy food, bikes, left and right brains, and more conscientious shopping. 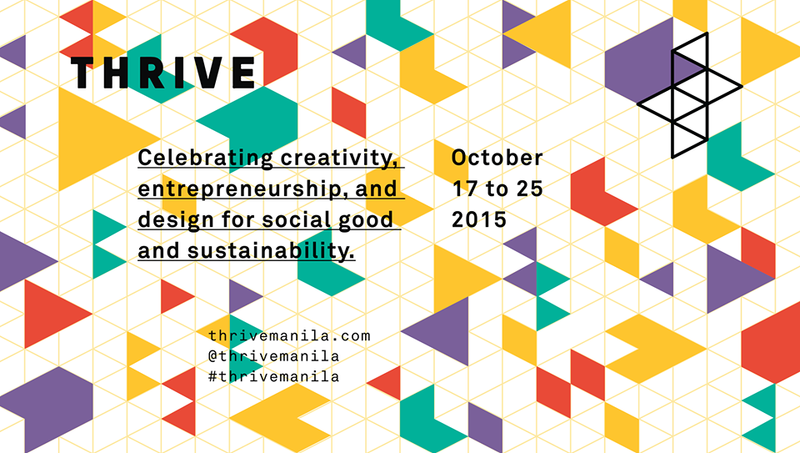 Welcome to THRIVE, a first-of-its kind event series that “celebrates creativity, entrepreneurship, and design for social good and sustainability.” More than just an arts festival, a conference, or a bazaar, THRIVE aims to connect the many dots that make Manila the energetic hub that it is—but all focused on creating a more sustainable future for this megacity and its citizens. This is an excerpt only. READ MORE in Inquirer.net.